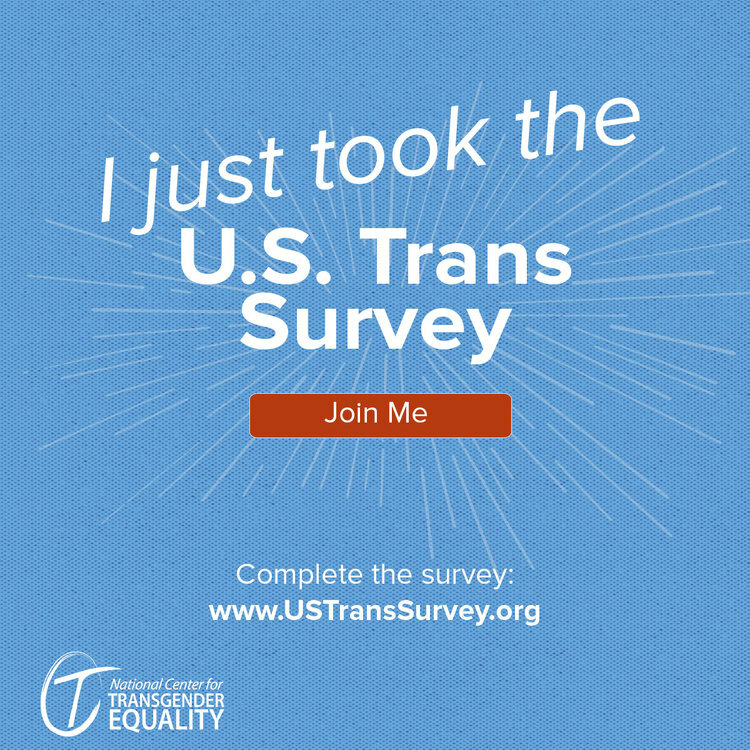 This is a follow up to the largest (at the time) survey for trans-people, conducted in 2009. At the time, 6,400 people participated – this one is aiming for upwards of 700,000! It is available through September 21, and it will be repeated (probably with changes) every 5 years. It will help policy makers enact change, so it’s super important! It covers a wide range of topics and possible types of discrimination, from housing to health care, coming out to relationships, sexual orientation, disability status, education level, income, etc. Interestingly, it didn’t cover mental health status. It asked a couple questions about suicidality and current levels of depression, but nothing about mental health history or diagnoses. That was the one thing I found to be lacking. At the end of the survey, there is a chance to write in your own story! Whether you want to elaborate on a time you were discriminated against or you want to share a time you were treated with respect, you get free-form write. I’m not sure how long they let you write – I wrote pretty briefly about the time I was hospitalized and the staff treated me with respect. The survey is pretty lengthy – it’ll take 30-60 minutes. But it doesn’t time out or anything – I came back to it about 2 times because I was doing some other things. Thank you for letting me know. Truly.